Mercedes-Benz of Natick is proud to exhibit the gifts and talents of the Christa McAuliffe 6th grade Design students first ever Mercedes-Benz Design Challenge. Students from Trimester 2 and Trimester 3 have been working on “product design teams” to show their ideas and design suggestions. 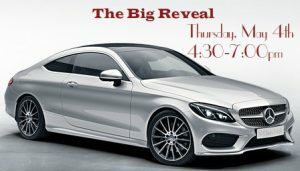 Please join us and drop in for the Big Reveal on Thursday, May 4th, 4:30-7:00pm. We will have celebrity judges reviewing the designs at 5:30pm. The media will be present and presentations given for all winners.